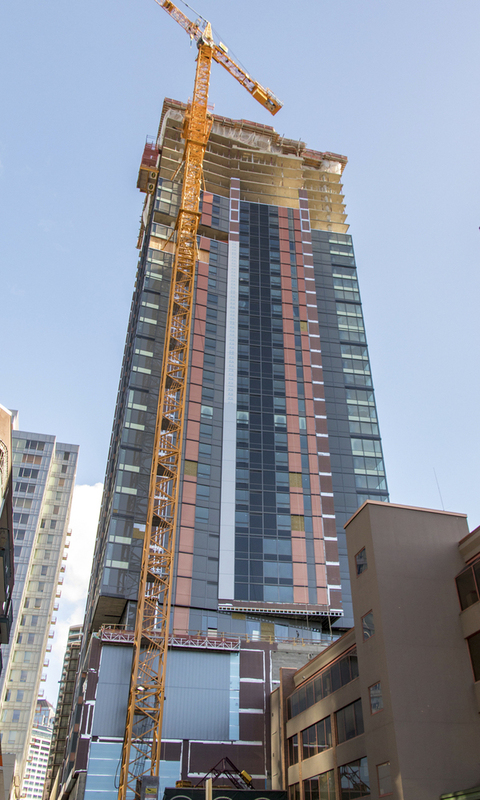 Located next to the 1960’s Cinerama Theater and the Monorail in the upscale Belltown neighborhood of Seattle, Washington, Arrivé Tower will be a 41-story mixed-use building over seven levels of subterranean parking. Currently under construction, this 577,000 square foot development will include hotel, residential, retail and a rooftop terrace with unique rooftop amenities. The exterior design will include a contemporary facade with glass windows and composite metal panels, while GreenLiving Wall panels will be added to provide lush vegetation to the urban environment. 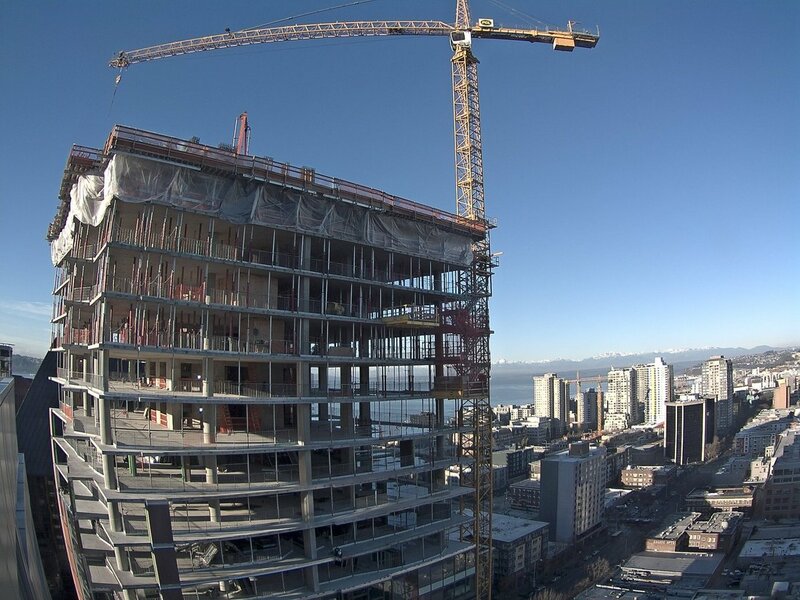 The structure will consist of cast-in-place concrete with post-tensioned floor slabs. In response to demanding seismic requirements, CKC designed a dual core system. 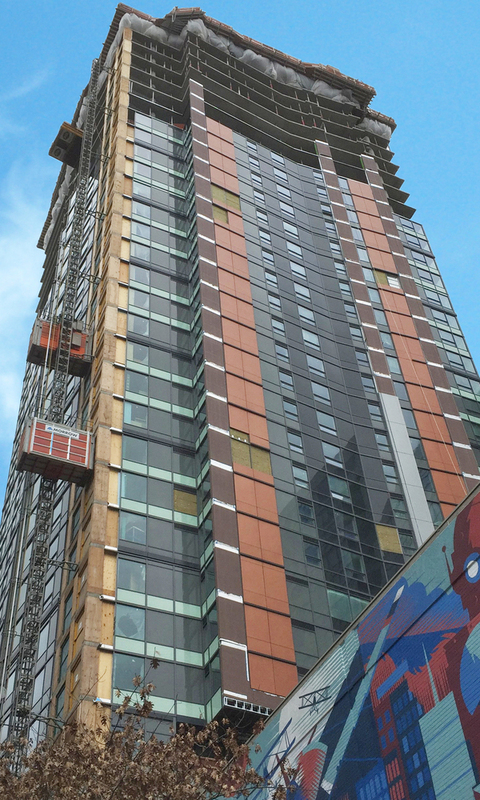 This combination of shear walls and ductile frames transfers the majority of the building’s dead load to the core and reduces net tension under lateral load.